This week, we are introducing a first paper from the Geek Anthropology session Nick Mizer and myself put together for the 2013 American Anthropological Association annual meeting which took place in Chicago last November. You may remember Nick Mizer’s Connecting The Dots Towards A Geek Anthropology, introduction to this session, which he presented on TGA last March. As promised to our readers, we will be sharing some of the papers in video form on our blog. Sadly, the recording of the last two papers was cut short, but we will be sharing those (mine and another presenter’s) in written form. Today’s paper is Fan Fiction, Fan Autoethnography, and Everyday Life by Charlotte Fillmore-Handlon, a PhD Student at Concordia University, Montreal. Abstract: Following Ben Highmore’s quest for a socio-aesthetic approach to everyday life, in this presentation I understand fan fiction as textual expressions of the everyday lives of fans who draw on familiar characters and stories of popular culture to work through the emotions and frustrations of everyday life, and I argue that we should look at fan fiction as a socio-aesthetic approach to the everyday. In contrast to more narrow definitions, I define fan fiction more broadly to include stories written both in and outside of fandom communities. In order to illustrate my argument, I will employ an autoethnographic approach, recalling my own experiences writing fan fiction as a young pre-teen. In light of the recent trend of positioning oneselves as an aca/fan (Academic/Fan) in fandom studies, I differentiate between fan fiction and fan autoethnography, drawing on Lucy Suchman’s Human-Machine Reconfigurations: Plans and Situated Actions. This understanding of fan fiction as a socio-aesthetic approach to the everyday will be of relevance to both fandom scholars and scholars of everyday life, as it represents a new and exciting direction of research for both fields. Enjoy, and feel free to leave some thoughts in the comments! THANK YOU FOR SHARING! WE APPRECIATE YOUR SUPPORT! I wish I had thought to record my presentations! I really like this one, and it’s so great that you have a video to show for it. 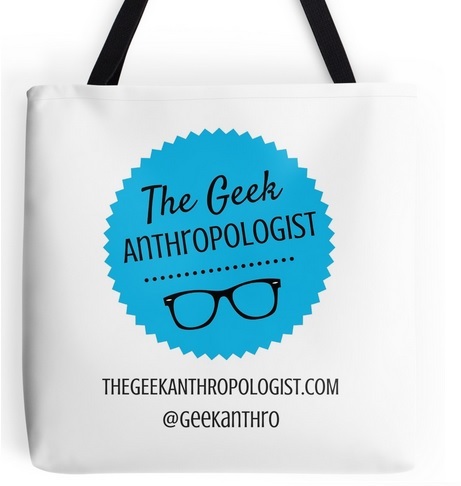 The Geek Anthropologist by TGA team is licensed under a Creative Commons Attribution-NonCommercial 4.0 International License.